Apartment building originally built to house female faculty is now inhabited by frat boys. As a college town, Cheney has no shortage of apartment buildings, but few have stood the test of time as gracefully as the Philena Apartments. Built in 1929 by Archibald Rigg and Roland Vantyne, these apartments were financed by Clarence Martin, the future governor of Washington State. The apartment building was named after Martin’s mother, Philena, and became a home to many faculty members from the Cheney Normal School. As the years went by, the Cheney Normal School became Eastern Washington University, and the Philena Apartments shifted from faculty housing to student housing. The first occupants of the Philena Apartments were faculty for the Cheney Normal School, and the majority of these tenants were unmarried female teachers. There are a few reasons that young unmarried women were the most popular renters at the Philena Apartments. In the early 20th century, it was considered scandalous for unmarried females to live alone, so apartments were a popular choice that maintained a woman’s reputation. Another contributing factor is that the women simply couldn’t afford to live elsewhere. Female teachers were paid significantly less than male teachers by the Cheney Normal School. The apartments are a well-preserved example of Romanesque architecture. The building’s brick exterior is in pristine condition and features prominent rounded windows. The apartment’s design is unique because the northeast corner of the building features a beautiful glass-paned entry, to what used to function as a retail space on the main floor. Over the years, this retail space functioned as the College Inn restaurant, a bank, a hair salon, and even an ice cream parlor. From being named after a woman, to housing mostly female faculty members from the Cheney Normal School, the Philena Apartments have always been closely tied to the women of Cheney. 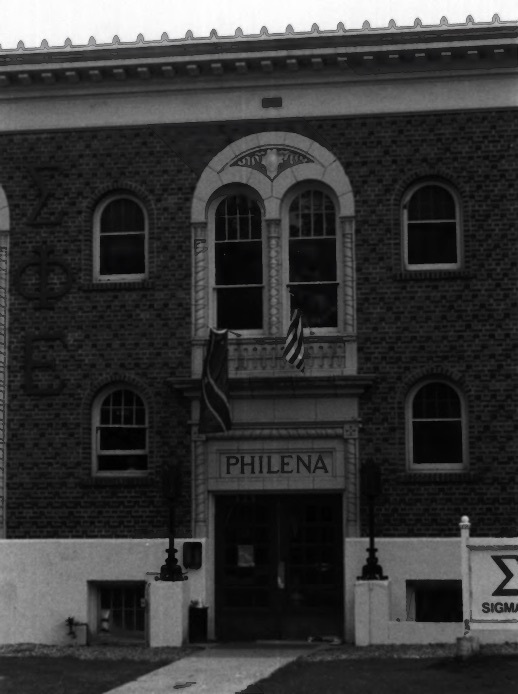 In a somewhat ironic twist of fate, the building was acquired by the fraternity organization Sigma Phi Epsilon in the mid-1990s, and has since become a space dominated by men. The fraternity organization has barely managed to skirt around multiple scandals, and after the most recent investigation in 2015, 44 of their 58 members resigned from Sigma Phi Epsilon. From faculty to frat boys, the Philena Apartments have been home to many different communities that are deeply connected to Eastern Washington University. Philena Doorway: A close up view of the Philena Apartment doorway. ~ Source: Courtesy of the National Register of Historic Places. 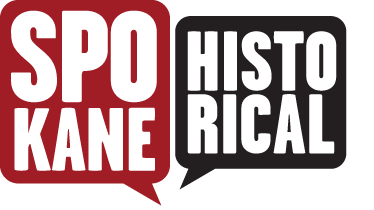 Katherine Enders, “From Faculty to Frat Boys: Philena Apartments,” Spokane Historical, accessed April 19, 2019, https://spokanehistorical.org/items/show/704. Cheney Historic Preservation Commission, from the City of Cheney website. “A Guide to the Central Cheney Historic District,” available at http://www.cityofcheney.org/files/History_of_Cheney/Central_Cheney_Historic_District_Brochure.pdf. Dunn, Katie and Nicole Ruse. Easterner. 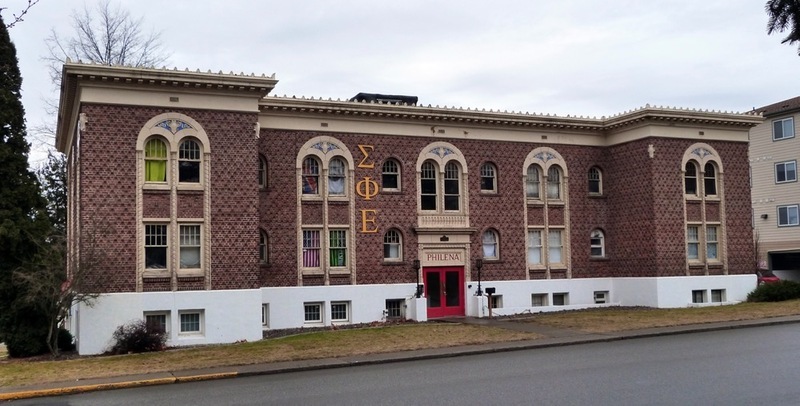 “A new day for EWU’s Sigma Phi Epsilon,” May 27, 2015. Avilable at http://easterneronline.com/35839/news/a-new-day-for-ewus-sigma-phi-epsilon/. Mamanakis, Joan, from the Clio website. “Philena Apartments 1929,” available at https://www.theclio.com/web/entry?id=27563. Mamanakis, Joan and the Southwest Spokane County Historical Society. Cheney. (Arcadia Publishing, 2015). Mutschler, Charles. Interview with Katherine Enders. Personal interview. Cheney, March 1, 2017.